Amazon turned a few heads in September when it revealed an Alexa-enabled microwave as part of its AmazonBasics product line. That product is now listed on Amazon.com as a best seller and yesterday went on sale for 30% off the $59.99 list price and is available for $41.99. That’s a rock bottom price even for an underpowered microwave. In fact, it is currently the lowest priced microwave the Voicebot team could find on Amazon.com in the U.S. There is only one microwave currently offered that has a list price below $59.99. Mainstays has a 700W microwave listed at $59.84. The only less expensive options are used models although Sunbeam has a unit for less than a dollar more than the Alexa Microwave’s list price and Westinghouse has one for the same list price. But the sale makes the AmazonBasics Microwave at least 30% less expensive than alternatives. Scott Grover expressed a similar sentiment while also explaining that beyond Alexa integration, you should be prepared for an entry-level microwave. It doesn’t have the power or space of pricier offerings. A few reviewers also complained about connectivity issues. 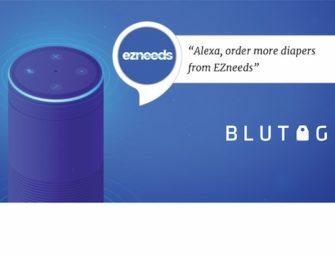 This should immediately remind you that Amazon recently stopped selling the Echo Wall Clock after connectivity complaints. It is unclear whether this is a Bluetooth LE connectivity issue, but it appears to be less common than among Echo Wall Clock users. Aside from a few issues that may be damaged or defective products, the general sentiment was positive about Alexa and less pleased about the core product capabilities. Low-cost microwaves are good examples of undifferentiated commodities. After wattage and space, most of these devices are fairly similar. Some manufacturers differentiate on styling or brand, but other than that price is a key competitive factor. The Alexa microwave is interesting because it has a low price, the lowest when on sale, and has a unique differentiator. Amazon points this out clearly in its product comparison table. There is price, wattage, cubic capacity and everything else is identical across products. Voice interaction is, therefore, a distinctive feature today. It is not clear what Amazon’s long term plans are for the device. The aggressive discounting may be an attempt to sell off unsold inventory or just Amazon’s normal merchandising approach. However, what the product did was show that voice can be an interesting feature addition even for commodity products. Don’t be suprised if you see a number of third-party manufacturers introduce Alexa-connected microwaves in late 2019.